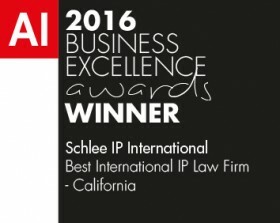 Implications of the Brexit on European Trademarks (EUTMs) - Schlee IP International, P.C. When will the Brexit actually happen? By the UK indicating officially its withdrawal from the European Union, a 2-year time period for negotiating the terms of such withdrawal is triggered under Article 50 of European Union Agreement. At present, no such withdrawal notice has been made. Although it appears that the UK will actually follow through with its withdrawal notice, it will remain as a European Union member for at least 2 years from officially withdrawing from the EU. What are the implications of the Brexit on existing EUTMs ? Since EUTMs are based on an actual EU Regulation, EUTMs strictly cover EU countries only. However, it appears likely that future national UK laws might provide for a conversion of EUTMs to national UK trademarks, either automatically or upon request. A possible scenario may also be that some EU directive is created grandfathering in former EU member countries to the EUTM systems. The final resolution may also depend on the actual Brexit model chosen by the UK, namely either i) The “Norway Model” under which the UK would become a member of the European Economic Area (EEA) and the European Free Trade Association (EFTA), stay in EU single market and be subject to EU jurisdiction and rules, or ii) the “WTO Model” under which the UK would break completely from the EU and have no access to the single EU market that provides for free movement of goods, people, services and capital within the single EU market. Will it be possible to cover the UK by a EUTM after the Brexit? Unless some EU directive is created grandfathering in former EU member countries to the EUTM systems, it will no longer be possible to cover the UK by post-Brexit EUTM applications. What are the use requirements for EUTMs versus national UK trademarks? Typically, for national trademarks, the use requirement needs to be fulfilled in the respective country covered by the national trademark, in this case within the territory of the UK. The use requirements are more favorable for EUTMs allowing to fulfill the use requirement for the entire EUTM covering all EU countries by use in only one single EU country. Although refiling as a national trademark in the UK would not preserve the time rank of the EUTM, it would at least give the benefit of starting a new grace period for fulfilling the use requirement in the UK. It may also be possible that national UK law will provide at least for some transitional time period that fulfilling the EUTM use requirement is acknowledged for the territory of the UK. However, since it is difficult to predict what national UK law will provide, uncertainty remains at the moment at least for EUTMs that are not used in the UK. How does the Brexit affect the seniority claim for EUTMs based on older national UK trademarks? If EUTMs eventually cease covering the UK, this makes the seniority claim moot. Again, it will be a matter of national UK law whether the time rank of the seniority claim would be honored for a national UK trademark resulting from some kind of conversion process. For now, if the older national UK trademark is still in force, it may be prudent to renew it within the renewal time period rather than relying on EUTM seniority claims. Are license agreements affected by the Brexit? As far as a EUTM is subject to a license agreement, due to the Brexit affecting in various ways the UK trademark coverage and use requirements, such license agreements should be revisited at least if coverage of the UK is essential. What is the overall outlook on the implication of the Brexit on EUTMs? It seems very unlikely that trademark coverage of EUTMs would vanish without even providing any options for conversion into national rights. However, for very important trademarks, it might be prudent to file also national trademarks in addition to EUTMs since there is some uncertainty what the final resolution will be. Another concern are the use requirements for those EUTMs that are not or are only very lightly used in the UK.